A new itinerary in the land of gods and heroes deepens visitors’ knowledge of the land’s nectar. It was a trip proposed by the Tourist Organization of the Attica Region to members of the tourist press and Italian travel agents and from other European countries who were given the opportunity to experience a different view. This tourist route includes the deepening of food and wine products and immersion into the history of Attica, the capital of Greece – Athens, and the “Wine Route.” Apart from the joyful charge that a good glass can give you, this all turned out to be a good idea. It was nice to see the great vineyards, one of the well-known excellences of the region, blessed with fertile land, a generous climate, and the millenary history of the historical finds that surround them. A three-day was tour enlivened by a visit to farms in areas partly off the tourist route and the tasting of wines produced by the main Attica wineries. Each has its own particular vines and products: white, red, rosé, dry, sparkling, semi-dry, and different gradations, in addition to the classic wines with pine resin. Each farm has a history linked to traditions, architecture, the greatness of the farm, the cultivar, and great labels. Some farms are feudal palaces, historic buildings of value, while others are modern, but all with a common principle: an excellent product for local consumption and for export to Europe and beyond. The first stop in the “Wine & Food Experience” product club program was at the impressive “Gikas Winery.” There was a stone structure reminiscent of a tower, and the cellar was equipped with barrels and steel tanks. On the same premises, we met a second producer – Stavros Koulokeris from the “Domaine Evinos” winery. 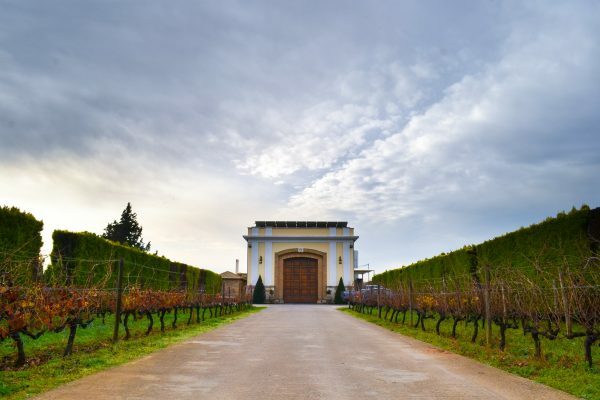 “Domaine Vassiliou” in Koropi, wine producers since 1905 and for 3 generations, are dedicated to quality with art traditions and modern technologies. It was the first farm to open to the public in the Koropi area. The Viticultural Manor Chateau Kaniaris on the hillside of Megara are producers of 10 excellent wine qualities. Allagiannis Winery is an award-winning winery, earning such an honor in 2016. Domain Costa Lazaridi has 11 labels of reds, whites, rosés, 3 qualities of Tsipouro and 3 of Metexis, grappa and distillates, and 8 qualities of balsamic vinegar, Botanical. Founders and managers of the Costa Lazaridi Wine Museum have earned multiple awards or their company. 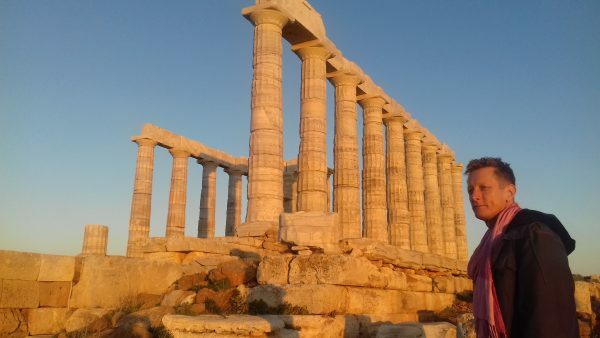 From Koropi to Cape Sunion – a location in the extreme south of Attica on the Aegean Sea, a visit was made to the archaeological site of Sunion and the Temple of Poseidon, built in 444-440 BC – one of the most important monuments of the golden age of Athens. Syntagma Square, before the Parliament, designed to watch the Euzones strict marching rules from this starting point, moved to discover that beyond the Acropolis and the numerous monuments of the V century BC, there is another Athens. It is a modern, cosmopolitan, and alternative city, where the avant-gardes redefine architecture and outline that new lifestyle which is breathed here in the chaotic intertwining of streets and commercial activities. Yes, Syntagma Square divides Athens into two large areas: to the east, the Kolonaki district and to the west, the Exarchia. From the Athenaeum Intercontinental Hotel to the Acropolis Parthenon, it is quite an experience to climb and touch history. A visit to the new Acropolis Museum took place, albeit under reduced times, but with the selective strategy we could see the best of the wonders on display. The next stop was a visit to the Temple of Artemis in the archaeological area in Vravrona. And then it was on to Porto Rafti, a famous marine area of Attica, for lunch by “Kazba,” a trendy restaurant with superior cuisine. Athens without visiting the Plaka district? Not a good idea. So here we are again approaching the Acropolis at night and having dinner at Taverna “I Paka!” enjoying traditional home dishes accompanied by Greek live music. A green area of over 210,000 meters hosts the eco-sustainable Cultural Center of the Stavros Foundation (SNFCC), designed by the Italian architectural firm of Renzo Piano, along with the Opera House and the National Library of Greece. The entire complex was delivered in 2017, receiving a visit of more than 3 million people with over 3,500 free events and organized activities. On the ground floor, the great National Library is a maze of books placed neatly in wooden shelves in a well-calibrated geometric game. The long steel wires are dropped from the high ceilings to illuminate the surrounding space of concrete and large windows. The structure also features reading rooms with a contemporary and minimalist style. The Opera House is a modern and technological environment. In addition to the rehearsal room, it boasts a large hall of 1,400 seats and a smaller one for 400, a rehearsal room, and a triple mobile stage. From the rooftop of the SNFCC at sunset, the Acropolis in the distance reminds us that the new era of Athens was born from those ancient testimonies. At Pyrgos Vassilissis, The Queens Tower (and adjoining vineyards) is a royal palace-fortress belonging to Queen Amalia who inspired an innovative model of conduction to modernize agriculture in Greece. The interiors of the building are beautiful and a source for an excellent production of wines. The Ancient Greek technology at the “Kostas Kotsanas” museum is worth a stop in the Kolonaki district, housed in a historic Art Nouveau building. Monastiraki represents the Ottoman heart of the old city of Athens and is a picturesque district famous for its lively flea market, the Tzistaraki mosque, the Andrianos library, and the Byzantine church of Panthalassa. The area is known for shopping, with a concentration of nightclubs for young people. It is an experience not to be missed. Pláka is the old historical district of Athens, clustered around the northern and eastern slopes of the Acropolis. It incorporates labyrinth streets and neoclassical architecture. 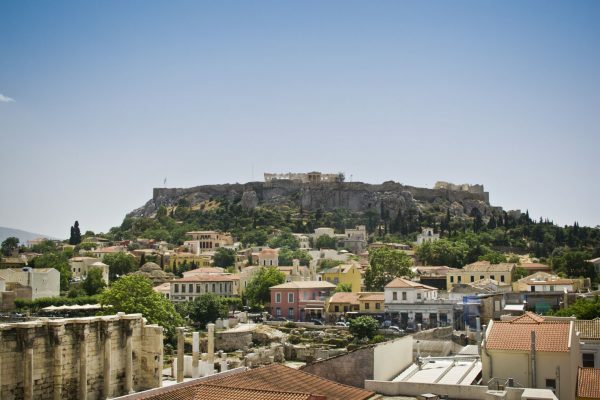 Plaka is built on top of the residential areas of the ancient city of Athens. It is known as the “District of the Gods” due to its proximity to the Acropolis and its numerous archaeological sites. And, for an alternative dinner, a meal was enjoyed at By the Glass one of the best wine bistros in Athens. The presence of Agamemnon’s golden mask at the National Museum of Athens could not miss a visit to an “out of the program” stop. The objective was to see the golden mask that is supposed to be the imprint of Agamemnon’s face. An infinite number of golden ornamental objects, tombstone finds, and millennial sculptural masterpieces are an attraction not to be missed here.